The Liberal Party is supposed to be the custodian of classical libegralism and conservatism. Malcolm Turnbull is neither. He is a leftist-‘progressive’ who wants to take Australia in the same general philosophical direction as the Labor Party and the Greens. Below I have produced a meticulously researched timeline, and a series of stand-alone articles, highlighting Turnbull’s left-wing ideological orientation, and his intimate associations with the Labor Party. I clearly show that Turnbull’s ideology is long-held and deeply-ingrained. Indeed, he has never been anything other than a leftist, and continues to ruthlessly pursue that agenda as Prime Minister. My email is admin@stopturnbull.com. If you have any comments, criticisms or relevant information to add, please don’t hesitate to contact me. Note: All sources are either footnoted, hyperlinked or explicitly stated. **ALERT [13th August, 2018]: There are constant attempts by Turnbull-supporting leftists working in news organisations to break the hyperlinks on our website to discredit us. Please let us know when you find broken links or videos that are not working. This is a bit of a nuisance but we will continue periodically checking and refreshing all of our hyperlinks. *UPDATE [8th August, 2018]: Just posted a new article on Kerry Schott, the architect of Turnbull’s energy policy (aka. ‘National Energy Guarantee’). It is titled ‘The architect of Turnbull’s energy policy is a lifelong Labor-supporting socialist‘. 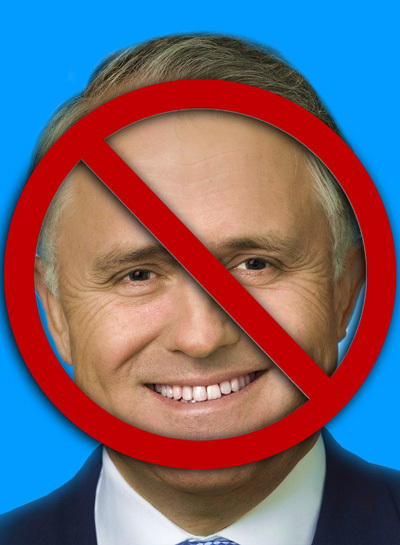 UPDATE [23rd July, 2018]: We’ve added 4 new stand-alone articles on various subjects including whether Turnbull is rigging Newspoll, his anti-Trump agenda, his Menzies provocation, and the communist holiday he loves to celebrate. UPDATE [20th July, 2018]: We’ve added 2 new timeline sections titled ‘Leftward Drift‘ and ‘National Poverty Guarantee‘ covering everything up until July 2018. The timeline is separated into seven parts, for the sake of manageability. This part covers the ideological orientation of Turnbull’s mother, and the period between his birth and the end of his schooling. This part covers Turnbull’s initial efforts to enter politics, his involvement in the Spycatcher trial, the republican campaign, and everything in between. This part covers Turnbull’s joining of the Liberal Party, his brutal pre-selection campaign, his pernicious role in the Howard Government, and his ascension and downfall as Opposition Leader. This part covers Turnbull’s ruthless campaign of needling and white-anting against Prime Minister Tony Abbott. I demonstrate that Turnbull didn’t merely take advantage of Abbott’s poor polling, he helped create it. This part covers the period from the coup until the end of 2016. This part covers the period from the beginning of 2017 until the NEG announcement in October 2017. This part covers the period from the NEG announcement (October 2017) onwards. Did the ABC try to sabotage StopTurnbull.com?